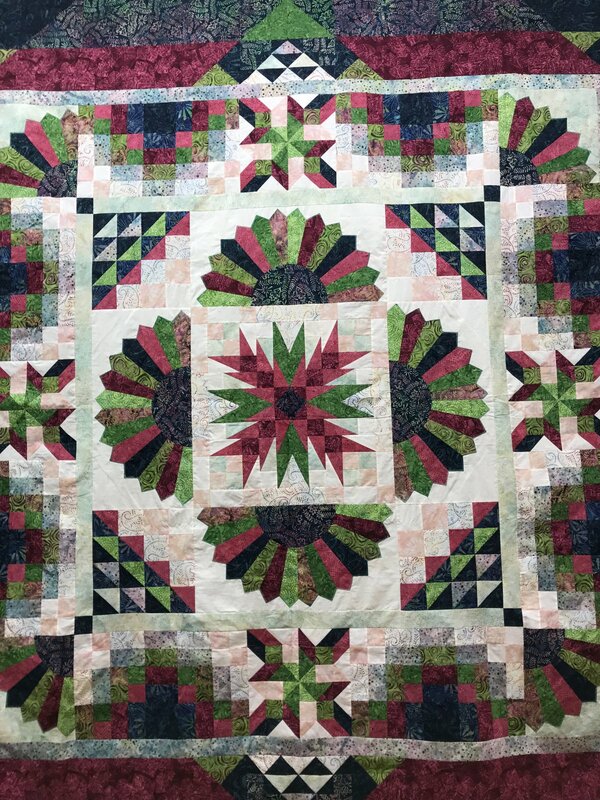 This Beautiful Block of the month was designed by A Wing and A Prayer Designs. The entire king size quilt is made with Tonga Batiks in beautiful blues, purples, rose and soothing greens. Each month (the third Friday of the month) the day will be set aside for instruction and block construction, you will have our expert teacher (Patty Gibian) guiding you the entire way. The month is broken down into a manageable size and will be completed in time to have it quilted for Christmas twelve months from now. This class is limited to 12 students, on a first come first serve basis. Materials Included: Class includes the pattern and the fabric.